Home/Knowledge Base/Game Servers/What are the system requirements for GTA 5? Grand Theft Auto V has emerged as one of the most popular video games in its genre. Within 24 hours of its release, it generated over $800 million in revenue. It currently holds seven Guinness World Records, and has been hovering near the top of the charts for years. Rockstar's multiplayer sensation has millions of fans worldwide. People of all ages love this game for its challenges and high level of entertainment. In fact, the average daily number of players is a staggering 66,622. When it comes to running the game flawlessly, not any computer will do. Let's take a look at the minimum GTA 5 system requirements for a perfect gaming experience. First, make sure your computer is running Windows Vista 64bit. Windows 7 64bit, Windows 8 64bit and Windows 8.1 64bit are even better. If you're running Vista OS, we recommend using an NVIDIA video card. This popular video game will run best on a Windows machine equipped with at least an I5 3470 Quad Core processor. Another option is an AMD Phenom 9850 Quad-Core processor. GTA 5 uses a lot of memory, so make sure your computer is properly equipped for the job. You will need at least 4GB of memory and 65GB of disk space. For optimum performance, get 8GB of memory. As we have mentioned earlier, it's recommended to use an NVIDIA video card. At a minimum, get an NVIDIA 9800 GGT or AMD HD 4870. For optimal performance, use an NVIDIA GTX 660 or AMD HD7870. The video card should have at least 2GB. A 1GB card works too, but it won't deliver the same performance. Surprisingly, GTA V minimum system requirements are quite light. Even though the game has expanded a lot since its release, it doesn't require a ton of features to run properly. What if you want to enjoy maximum performance and get the most out of your system? In this case, contact an expert. 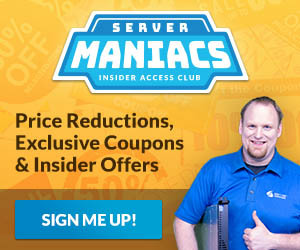 At ServerMania, we can identify your server needs and make personalized recommendations. Our experts can show you how to upgrade your PC, set up your own server, and host your game server remotely. Over the last few years, GTA 5 has added a ton of new features to draw players back in. Now, you can choose from hundreds of weapons, vehicles, and outfits that will bring your character to life. Meeting the minimum system requirements is a must if you want to fully enjoy your gaming experience. Plus, being able to hear every gunshot and see the breathtaking visuals at full resolution enhances the fun factor. Ready to upgrade your system, and play GTA 5 like a pro? Contact us today to see how we can help!